Cristina Peri Rossi was born in Uruguay and is considered a leading light of the “Latin American Boom” generation. In 1972, after her work was banned under a repressive military regime, she left her country, moving to Spain. This collection of poems, written during her journey and the first period of her self-exile, was so personal that it remained unpublished for almost thirty years. It is accompanied here by two brilliant essays on exile, one by Peri Rossi and the other by translator Marilyn Buck, who is an American political prisoner, exiled in her own land. 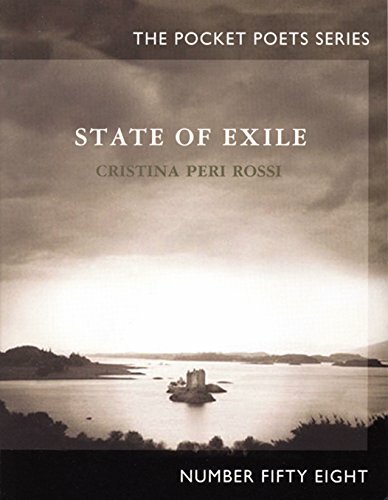 Cristina Peri Rossi is the author of thirty-seven works, including The Ship of Fools. If you have any questions about this product by Brand: City Lights Publishers, contact us by completing and submitting the form below. If you are looking for a specif part number, please include it with your message.